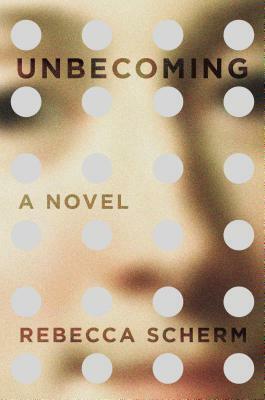 Rebecca Scherm's "Unbecoming" is completely undersold by its cover. The image itself did nothing to catch my attention, so I'm glad I read the text accompanying it in "Buy, Borrow, Bypass" on Book Riot. If "The Secret Wisdom of the Earth" hadn't topped the list, I might've skipped the piece and missed this gem entirely. Grace is living in Paris several years after fleeing her home town of Garland, Tennessee. Now known as Julie, she takes care to hide her background from her co-workers in an antiques repair shop. She makes no friends and avoids her roommate. She simply checks her hometown newspaper for updates on her former lovers, both imprisoned for a heist gone wrong. She lives quietly with her guilt over escaping with her freedom and a valuable painting. As Grace-Julie's lies begin to unravel, she recalls the circumstances that led to her current predicament and decides what to reveal and what to continue to conceal. Scherm has created an enthralling protagonist - she's not a good person, but she's absolutely fascinating, even (and especially) when she makes terrible split-second decisions. As I wrote in my brief Goodreads review, the novel has a little something for everyone. There's suspense, lies, a heist, an inside look into the antiques and art world, a love triangle in a small town, and a bit of growing up. Verdict: Affirmed, for anyone looking for their next exciting female lead, thriller readers seeking a bit of depth, and fans of "The Goldfinch" looking for a bit more information on art restoration and theft hidden in an entertaining fiction. If you're a listener, the audio narration is on point as well. "Unbecoming" by Rebecca Scherm, published January 22, 2015 by Viking. Audio narration by Catherine Taber, published January 22, 2015 by Penguin Audio.